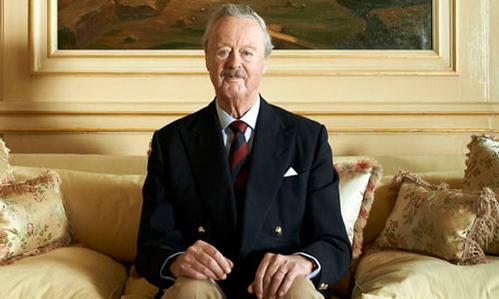 : We are sad to learn this afternoon of the death of the 11th Duke of Marlborough, owner of Blenheim Palace. We send our condolences to his family and to all at Blenheim. The Blenheim Palace estate, at Woodstock in Oxfordshire, is one of Britain's most notable tourist attractions and it was the Duke's life's work to preserve it for future generations. "Although the Battle of Blenheim was won in 1704, the Battle for Blenheim continues in the unceasing struggle to maintain the structure of the building and to obtain the finance for the future,'' the Duke once said of Blenheim. He introduced the Pleasure Gardens to the tourist attraction, which includes a railway, maze, and butterfly house, as well as a Churchill Exhibition.